Walking through the shop these days is a bit hectic, but for good reason! As we organize everything and test all of our equipment for the days to come. Whale watching season is finally upon us (official start 15th of December) and we are 100% ready to share this magical event with our guests.Our boats are ready, our equipment is in working order, and many whales have already been spotted here in the warm waters of Cabo San Lucas. Now its time to enjoy the experience! As we continue our series on whale behaviors, this week we will discuss the most common whale behavior to see anywhere in the world. 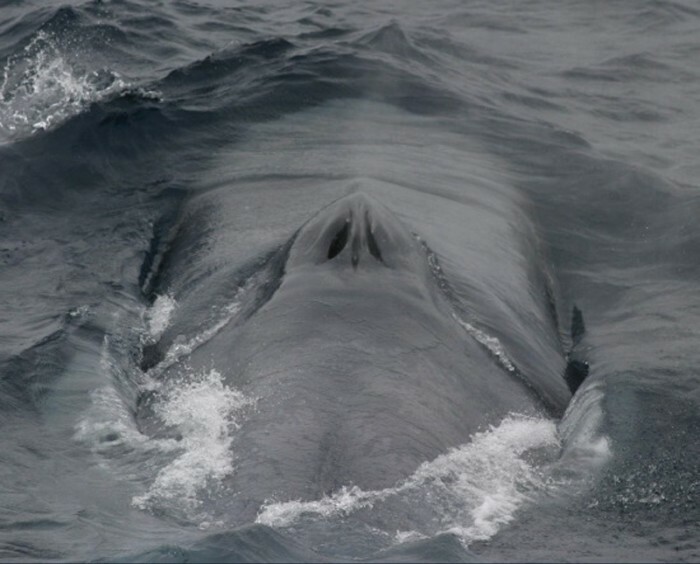 A whale blow occurs when a whale reaches the surface and breaths or spouts. 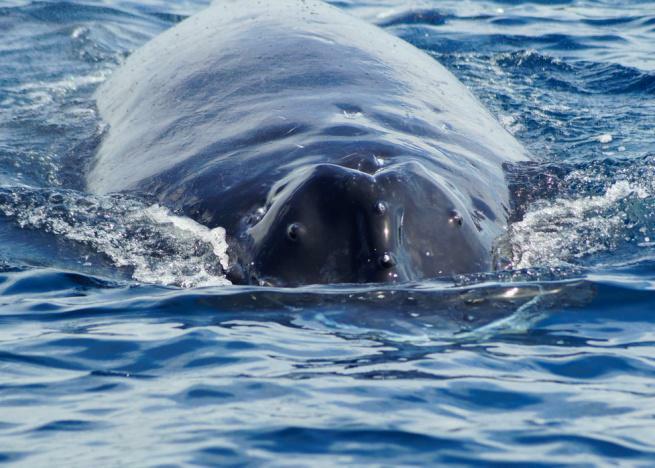 Since whales are mammals just like us, they breathe air through lungs as well, meaning that they must come up to the surface very often for more air. The whales’ exhalation is forced with a blast out of its blow hole, producing a cloud of mist. 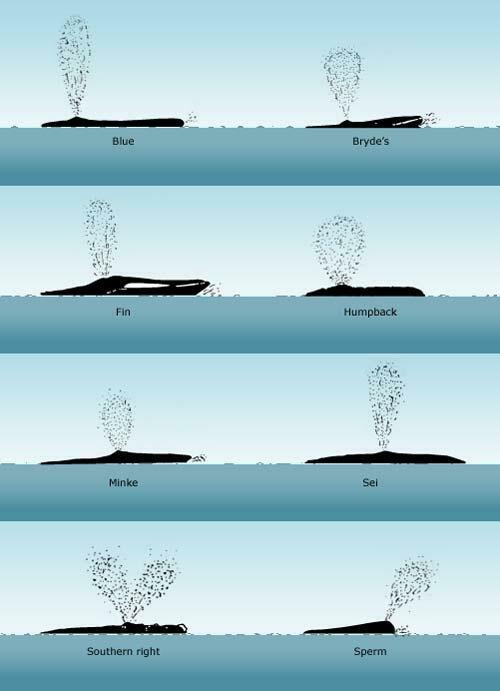 The blow is one way to identify certain types of whales, because different species have different blows. Just like humans have different shaped noses, whales have different shaped blow holes, which causes different looking spouts. Gray Whales have 2 blowholes and spout a V-shape, while Blue Whales spout a very large, very dense spout. 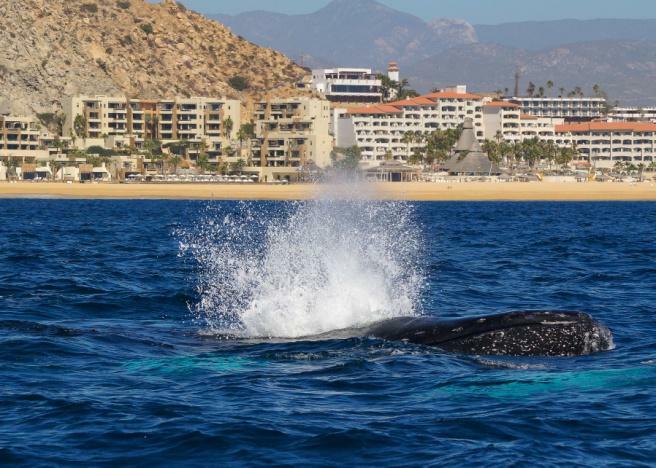 Humpback whales, which are the most prevalent in the waters of Baja, have a low bushy blow of about 8-10 feet high. We hope to see all of these types of whales this season but are sure to at least see humpbacks and grays. We look forward to showing you all we have to offer here in Los Cabos. 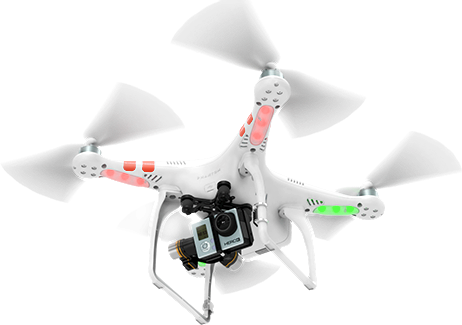 This year for the season 2014-2015 we will make the Whale Watching in Cabo San Lucas even more interesting as we will film them as they were never filmed before with the help of a quadcopter as well knows as drone. This new exciting technology will show us the Whales from a different perspective and may reveal us some characteristics unknown to humans yet. make sure to book in time as spots fill up very quickly!